A collaboration between the Massachusetts Institute of Technology and two energy companies is encouraging interdisciplinary research to fast-track the development of practical fusion power. 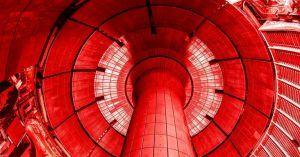 Mechanical engineer Caroline Sorensen told an MIT blogger about her work on a “liquid immersion blanket,” which is a pool of molten salt that converts fusion reactions into heat and protects the rest of the reactor from damage. MIT’s Plasma Science and Fusion Center is working with a private company called Commonwealth Fusion Systems to “carry out rapid, staged research leading to a new generation of fusion experiments and power plants based on advances in high-temperature superconductors,” according to the institute. The work is funded in part by an Italian energy company called Eni, which contributed $50 million. Many researchers at the project are nuclear engineers and plasma physicists, according to the MIT blog post, but its leadership is also working to draw in specialists in other disciplines, like Sorenson.